It’s not boot camp and it’s not a spa getaway – this is a lifestyle road trip, that’s so crazy fun Thelma and Louise would hit the breaks for it. 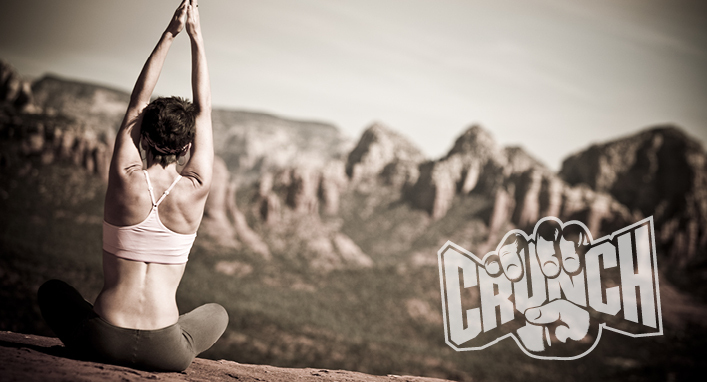 Together with Crunch Fitness, one of the most innovative names in the fitness industry, this trip will be an opportunity to take out-of-the-box fitness classes in a once in a lifetime atmosphere – all with Crunch’s ‘No Judgments’ mentality. From yoga at the bottom of the Grand Canyon via helicopter, to African dance with live drummers and pole dancing or boxing in Vegas, you’ll be having such a blast you won’t even realize the workout you are getting. In addition to discovering your new inner fitness warrior, you will take a healthy gourmet cooking class, become a juicing pro and find other incredible ways to be good to yourself. Crunch’s classes are tailored for all levels of skill, so whether you are a fitness fanatic or just interested in dipping your toe into the workout pond – you’ll fit right in.